Grow solar in your community by volunteering with Solar United Neighbors! From sharing your solar story to spreading the word about solar locally, there are many ways to contribute. 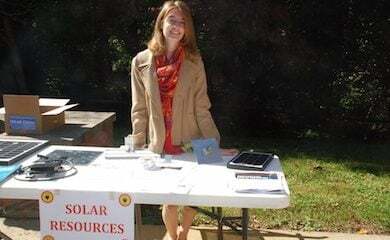 Volunteers spread the word about solar. Posting about Solar United Neighbors on social media and local community listservs. Solar homeowners are the best messengers for solar stories. Did you go solar? We want to hear your story! We are always looking for co-op members and homeowners we’ve helped go solar to send us photos of their families with their solar systems, write testimonials about their experience going solar, and record themselves talking about their experience going solar on video. Share your experience going solar by hosting a solar open house for interested homeowners in your community to learn more about going solar. We often are working to protect and expand solar rights. We need folks who can testify, write letters to the newspaper, organize meetings, and track the issues and write about them. There are many ways to get involved with us from sharing your solar story to helping grow our solar co-ops. See how you can get involved.